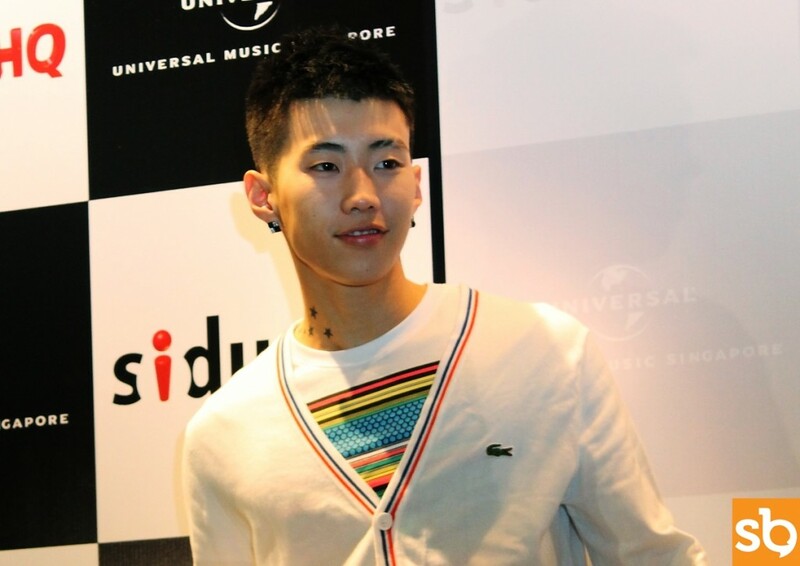 Having just completed his Korean promotions, Jay Park set off for his New Breed Asia Tour with Singapore as his very first stop. Being no stranger to the local scene, this trip actually marks his 5th visit, and it’s the only time he has ever done a full-fledged album promotion here. As soon as he touched down, he got whisked off the plane to prepare for a press conference, and also interviews with the local media — which were lined up till late. He even went on a bus tour with a group of fans the following day, as well as taking part in rehearsals and performing a set of songs at a local acting awards ceremony. New Breed — Jay’s first ever full length and self-produced album — sees a total of 15 songs, with “Know Your Name” as the title track. He cited at the press conference that “Know Your Name” is about a guy who sees a beautiful girl in a club, and wants to start things slow by knowing her name first. Yes, we get it, Jay. Activities with fans are also a must when it comes to events like these; a dance competition was introduced during showcase, with 5 lucky fans selected to dance to “Know Your Name,” and the winner being handpicked by Jay himself. The fans even held a surprise birthday celebration during the showcase, and to thank everyone for the celebration (together with some prodding from the MC), Jay gifted his fans by flashing his abs – much to the delight of the Jaywalkers present at the event. Closing the showcase, Jay performed the last song of the evening, “Girlfriend” and mentioned that he’ll be back in Singapore once again. He even stayed behind to sign albums after the showcase despite having to rush off for his next schedule at the Star Awards. On that note, he abruptly paused his signing for a minute to request for the organisers to stop playing his tracks, to which, a few befuddled faces could be seen at the sound console. After covering his activities here, I have definitely gained some respect for this man. He showed a different side of himself as compared to the other artists I’ve seen so far — hardworking, earnest and down-to-earth — and all of that epitomizes the music from Jay Park and his character as well. Moving forward, Jay will be headlining the Verizon APAHM Tour later this month, and he’ll be performing newly recorded English tracks which will also be free to download, so look out for it: the Seoulbeats team will be bringing you exclusive coverage during the New York leg of the tour.